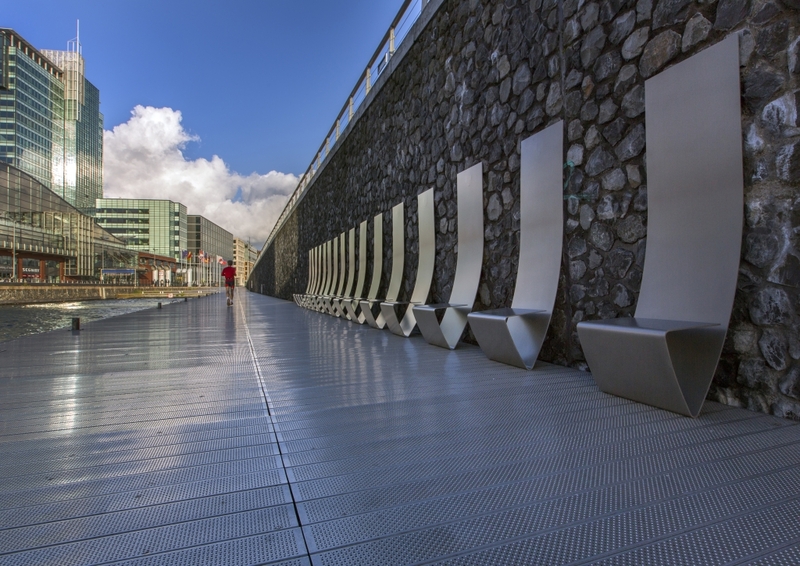 The installation consists of sixteen Wall Seats, which vary in size and spacing intervals. Each Wall Seat is formed out of one piece. Leaning against the wall, the stainless steel seats find stability. Studio Stallinga revealed the installation ‘Waiting in the Hallway’ in Muziekgebouw aan ‘t IJ, Amsterdam (Music Theatre in Amsterdam). Its curve, heavily weighted steel and slender silhouette creates a visually gripping and seemingly dangerous seat-sculpture. However, the accurately calculated balance ensures that one can sit. And wait. Waiting takes longer than time. The wall seats vary in width and intervals in such manner that when looked at from the side, the installation seems much longer than it actually is. This perspective visualizes the notion that ‘waiting time’ seems longer than the actual time.